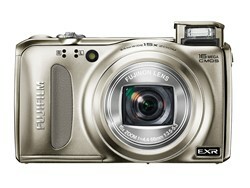 Pre-CES: Fujifilm has released the FinePix F660EXR, a 15x compact superzoom built around the company's EXR technology. It features the same 1/2" type 16MP CMOS sensor as the co-announced F770EXR, along with the same 3.0" 460,000 dot LCD but loses the more expensive camera's zoom range, GPS and Raw-shooting capability. It still offers an impressive 24-360mm equivalent stabilized zoom and 1080p movie shooting. The new FinePix F660EXR is a premium digital zoom compact that builds on the success of the FinePix F600EXR and while no bigger in size than its predecessor, the FinePix F660EXR adds Fujifilm’s latest 16 megapixel EXR-CMOS sensor to give users the very best of Fujifilm’s acclaimed imaging technology. Other improvements include an improved 3.0-inch, 460,000 pixel LCD screen and innovative face tracking to ensure users never miss their intended target. Add to this the Fujifilm F-series’ trademark of superb images in low-light, a Fujinon 15x optical zoom lens and a stylish, robust exterior, and it’s clear that the FinePix F660EXR will quickly become an essential travel companion. 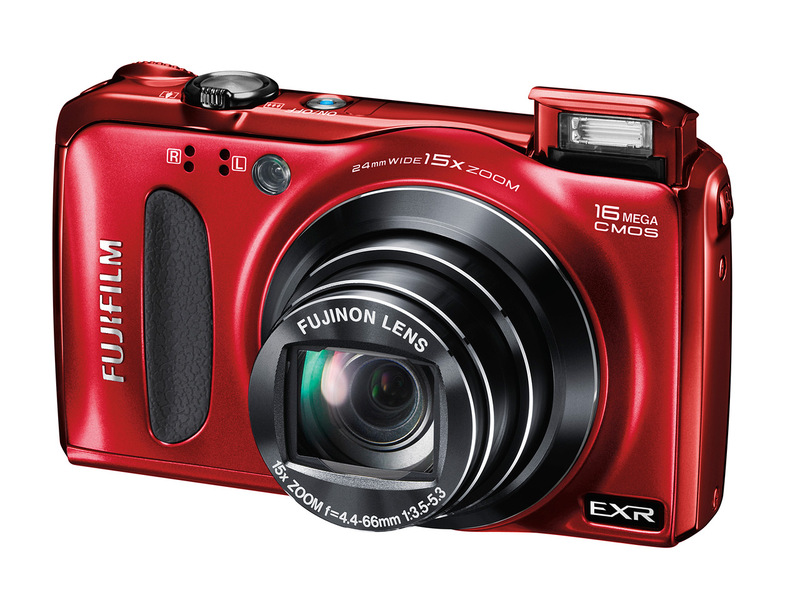 With Fujifilm’s pioneering 1/2-inch 16 megapixel EXR-CMOS sensor at the heart of the FinePix F660EXR, users are guaranteed unparalleled image quality, whatever the lighting conditions. The unique sensor combines Fujifilm’s EXR and Back Side Illumination (BSI) technologies to deliver superb results. The user can switch between three EXR modes to change the sensor’s characteristics according to the lighting conditions, or let the camera optimise settings in the Auto EXR mode. The camera’s ISO mode can also be selected automatically and offers a range of 100 up to 3200, but also stretches to an incredible 12800 (Image size S only). The Fujifilm EXR-CMOS sensor has also been redesigned to with a 30% reduction in digital noise over its predecessor, ensuring smoother tones in both highlight and shadow areas at higher ISO settings. The FinePix F660EXR’s 3.0-inch LCD has an improved high-contrast screen for displaying clear images even when viewing the screen in direct sunlight. An increase to 460,000 pixels on the LCD guarantee crystal clear images and movie to make it even simpler for users to assess exposure, explore the camera’s menus and capture their unmissable moments. The FinePix F660EXR manages to pack an impressive 15x optical zoom Fujinon lens (24-360mm equivalent to a 35mm camera) into its pocket-sized exterior, but for when that little extra distance is needed the camera has an Intelligent Digital Zoom function doubles the focal range with no obvious drop in quality, thanks to the application of innovative image processing to boost sharpness in selected areas without increasing digital noise. For breath-taking landscapes or scenes rich in detail, the Fujifilm FinePix F660EXR has a wide-angle field of view of 24mm and even a seamless Motion Panorama 360 mode to capture scenes in stunning widescreen. The FinePix F660EXR’s brilliance is not limited to still capture: the camera offers 1080p Full HD movie capture at 30fps for seamless quality and adds face tracking. This ensures users’ movies stay in focus, no matter where their subject moves. Combining the best of Face Detection and Tracking Auto Focus to precisely follow subjects’ faces throughout a scene, the FinePix F660EXR’s movie functionality and stereo sound recording will captivate keen videographers of all abilities. A high speed movie option allows more creative users to slow down fast-moving action by shooting an amazing 320 frames per second. 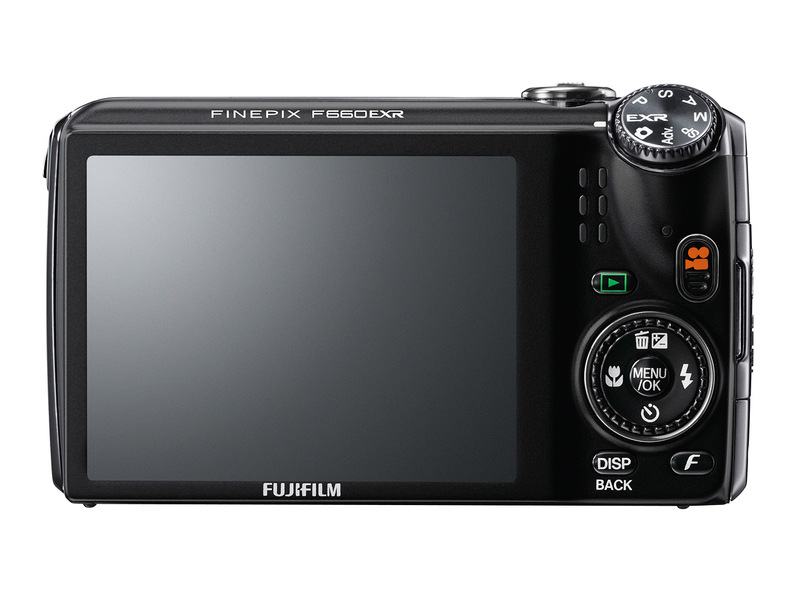 As well as the exciting new technological advances contained within the FinePix F660EXR, the camera offers many premium features that users have come to expect from Fujifilm’s F-series of high-powered compacts. A full-complement of exposure modes enable users to quickly capture a scene without sacrificing image quality, plus the F660EXR also offers more conventional exposure modes such as aperture priority, shutter priority and full manual to take complete photographic control over images. Fujifilm’s traditional film simulation modes are also present and allow users to experiment with their creativity when capturing their adventures on camera, while those wanting to capture the action haven’t been forgotten with up to 11 frames per second possible in the Image Size [M][S] at continuous shooting mode. 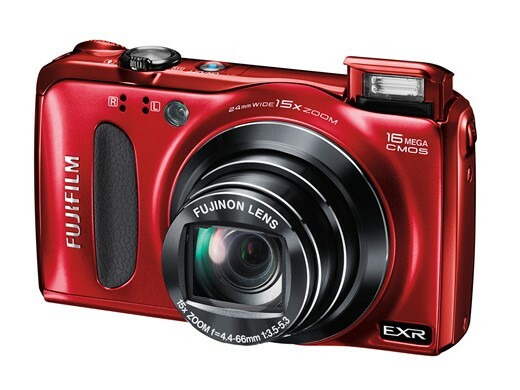 The FinePix F660EXR will be available in three colours: black, red and blue. Yet another brand new Fujifilm-cam model? Is there an end in sight for this madness? It has some added light sensitivity, I would assume via pixel binning, in "S" and "M" image sizes, but there are 7 different ones listed [4608 x 3072, 4608 x 2592, 3264 x 2448, 3264 x 1840, 2304 x 1728, 2304 x 1536, 1920 x 1080] I guess we can safely eliminate the 16 Megapixel top one ["L"? ], but then which exactly, of the remaining six are "S" and "M"? If, say, they have ones labelled "XS", or "XXS", for example, then we know "S" is not the lowest 1080x1920 spec. I think this is the same lens since F300EXR. Their age are very short around 6 months in each generation! I was thinking of buying the F600EXR for its HDR mode, but some reviews claim the lens is soft at the edges on the wide setting. I wonder if Fuji has solved this problem with this model? Not time for petty stuff like that, my friend. We've got to move these new cameras now, everyone! Come and git them, ya' hear! ?